DRIVERS 1 – Daniel RICCIARDO (Red Bull Racing) 2 – Max VERSTAPPEN (Red Bull Racing) 3 – Lewis HAMILTON (Mercedes). Q: Daniel, where did that come from? You left that right until the last minute. We didn’t know you had that pace. Where did you find that lap? Daniel RICCIARDO: I knew it was there somewhere. We hadn’t had the cleanest run through practice and I just knew putting the laps together would be crucial, as always, but I knew the pace was in the car, Max showed that all weekend from start to finish, so I just knew it was putting together a clean lap at the end. I still wasn’t convinced, it wasn’t the cleanest, but yeah, once I heard I got pole… I gotta relax a little, I’m tripping major nutsack right now. Q: Well, you’ve shown that you’re not just a Monte Carlo specialist. It’s your first pole at a circuit other than that, so great emotion? DR: Yeah, that one makes it special as well. Obviously Monaco is the only place I’ve ever done this, so to do it here… I believe it was super close with Max, I heard a few hundredths or thousandths so a big shout to the team, it's a one-two. I don’t know the last time Red Bull got a one-two in qualifying, so it’s pretty cool. Q: Well, it’s the first time in the hybrid turbo era you’ve had a one-two, so congratulations on being part of that and good luck tomorrow. Max, I know you’re going to be disappointed with that. You’ve been the fastest man all the way through the various practice sessions and in the end Daniel pulled the lap, so tell us about that final lap for you? Where did it slip away? Max VERSTAPPEN: The whole qualifying was crap. Again, the same problems as FP2. Engine braking not like I want to, just rear-locking the car. We tried to make the best of it. I thought it was going to be enough with the problems we had but it’s still good to be second, so we’ll see tomorrow. Q: Well, we can feel your disappointment. You’re clearly not happy with the way everything is operating. Can you fix those problems for tomorrow? MV: I’m not sure, but I’ll drive around them. Q: OK Max, sorry you didn't quite manage to get your pole. 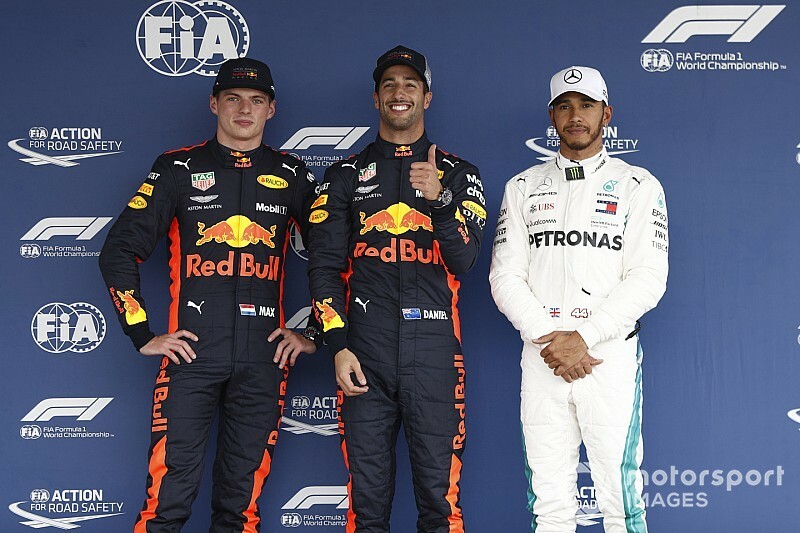 Lewis, you look a happy man. It’s not pole position but your main competitor in the championship is a bit further down. Third the best you had in the car today, or were there other tweaks that would have allowed you to take it to the Red Bulls? Lewis HAMILTON: No, really, really happy with it. Honestly, we had a difficult day yesterday and it was a big improvement today. Honestly, yesterday we were much, much further back, so I wasn’t expecting to be up as high as we got, but the team did a great job last night in analysing and moving forwards today. That’s as good as I could get, but I’m really happy for Daniel, he’s done a great job, so congratulations to him and yeah of course, being behind the Red Bulls is not a bad thing. 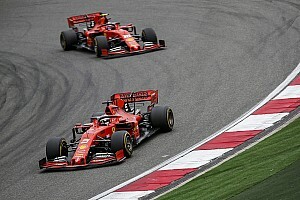 Q: For the start, it’s a long run to that first corner, you’ve got motivate Bulls in front of you and you’ve got a championship to win, so are you going to be taking a slightly more cautious approach to the start of this grand prix? LH: Well, you saw what happened last year, with the red car behind. I don't know, I think it really depends how we get away. But third place is a nice place to start, you get a good tow from the guys up ahead, so naturally I’ll be fighting to try to gain a position but of course I’ll be aware of the Bulls ahead. Q: Daniel, it’s been a while since you last won in Monaco, describe your emotions right now? DR: I’m holding a lot in. I let a bit out once I heard I get pole. But yeah, I held a lot in, I’ve got to save some energy for tomorrow. But just super happy. It’s been a while since pole. It’s been a while since we had a pretty good weekend in general and we’ve been quick all weekend, from the start. And from the team’s point of view to get a one-two in qualifying is awesome. Obviously we have to finish the job tomorrow, but to confirm that pace in qualifying is really good. Obviously Max led the way through the practices. I knew there was a bit more in it and we just squeezed it out at the very end. It was a good fight. Just happy. Happy to put together a good run. Q: Were you surprised by your pace in that final run? DR: I don’t know if I would say surprised. I knew the pace was there it was just a matter of putting it together. To be honest, the first sector wasn’t that good, so I was surprised to have probably got the pole after that, but I saw the second and third sector were strong and that’s where I made the difference. But I wasn’t convinced after the first sector that I was on for pole, put it that way. I knew the previous lap wasn’t particularly clean and I was able to get a bit more out of it. It was fun, it was very close, but it felt good. Qualifying can be exciting sometimes and today it proved that. Q: Definitely exciting. Well done Daniel. Max, we’ve just heard that Daniel’s first sector on that last run wasn’t what he thought was brilliant. Just talk us through your final run in Q3, because you were on pole after the first runs? MV: It was just not good. I was struggling the whole qualifying, with the same problems I had in FP2, when I had a lot of rear locking, on the down-shifting and when I come off throttle. Somehow the behaviour was not correct. So we couldn't do anything throughout qualifying, so I just had to lock a lot of tools, go forward on the brake balance to try and stabilise the whole car. It’s not how you want to do qualifying, normally you go more aggressive and be more aggressive on all the tools. That’s it. Q: How will those issues affect your race pace tomorrow? MV: We’ll find out. At the moment I don’t know. Q: Lewis, you said it was a difficult day for you and the team yesterday – so, thoughts after that? LH: This is a great day for us. Considering how bad yesterday was for us, and so I really want to say a big thank you to everyone who’s back at the factory who’ve been working hard overnight and also the guys here, to rectify the issues we’ve had and get the car back into a sweeter spot. Congratulations to Daniel. These guys were just too quick. They were in a league of their own in general up until qualifying and even in qualifying. If you look at his middle sector, there was no way I could get that. To be as close as I am, I’m really quite happy with that, and to be on third, it’s not a bad start. Q: Do you think you’ve got the pace to be able to beat them tomorrow? LH: I don’t think so. I think these guys do generally have the better pace. On tracks like this, for whatever reason, I guess the Renault engines working really well but more so the higher downforce level that they usually are able to achieve is definitely helping for sure. But I guess the race pace was not so bad yesterday but those guys again were in their own league in that section. We have improved the car so I’m hoping tomorrow we can still give it a fight and if we’re able to gain any ground at the beginning, then game on! Q: Big day potentially for you tomorrow Lewis, are you looking forward to it? LH: Yeah. Obviously last year we didn’t have a great race, and I’m hoping for a better race tomorrow. It’s a great place to be and a great place to race – even though overtaking’s probably not going to be really particularly possible – but we’re on a similar strategy so it’ll be interesting to see how it all plays out. Q: (Scott Mitchell – Autosport) Question for the two Red Bull drivers. Daniel, you mentioned that the first sector wasn’t that good. How good were the second and third sectors? How good did the rest of that lap feel? And Max, you mentioned the problem that you had. Given that you had that problem through qualifying and before, did you feel vulnerable going into the final runs and was there anything else on that final lap that meant you didn’t improve. DR: I think it’s hard to know around here. Even though we’ve got a hypersoft, it’s still quite a slick surface, so it never really feels like you’ve got a massive amount of grip, I think in general, so it’s actually hard to know really how good it feels or quick that sector is. I could just tell relative to my previous lap time, you have the live running lap times. I knew the fast stuff, kind of from Turn Seven to 11, I knew I… I felt like I nailed that, so that gave me a good impression that that part, I didn’t think I could get much more there – but the last sector, it’s so hard to tell. Particularly the hairpin, Turn 13, it’s… you feel you… to keep it tight, you feel like you go in too slow, so you’re like ‘ah, I could have gone in deeper’ – but then when you go in deeper you kinda lose on the exit. I knew it was a cleaner lap than my previous, put it that way. So, I knew I was putting myself in with a shot but I really wasn’t sure if it was good enough. MV: Let’s say it like this, I was still surprised that I was first in Q3, because I didn’t feel good at all. Like I said before, it’s really difficult to anticipate those things. I was driving around the issues – but in qualifying, that’s not what you want. Q: (Christian Menath – Motorsport-magazin.com) Question for the two Red Bull drivers. Usually, qualifying isn’t your strength. Race pace, you don’t have the disadvantage of the engine modes and you’re usually much better on the tyre wear than the other cars. Is there anything that can stop you? And do you expect a race just between both of you – and are there any special rules for that? DR: I think it’s probably too early to say it’s just going to be a race between each other – as nice as that would be. You never know on Sunday. It’s a long run down as well to Turn One, and even in general, once you get going, tyre wear’s been pretty significant here this weekend. So, I think if you are a quicker car, I think you can still overtake. Hopefully we are the quicker car all day. So yeah, I would say we’re in a good position, for sure, but we’ll keep it chilled for now and just do what we’ve got to do tomorrow. MV: Yeah, we’re in a good position. Q: (Francisco Alcalà – Global Com Group) Question for Lewis. Considering the position you’re start and Seb is starting fourth, does it cross your mind to play it safe at the beginning of the race? LH: Not really. Everyone’s going to be barrelling into Turn One to gain, so it’s a very, very fine line. If you go easy, you can get hit. If you go too aggressive, you can hit or still get hit. You’ve got to race it like normal and go in for the win. That’s what I’m going to be doing. I mean, that’s what we’re here to do, is to race. Q: (Pedro Torre – Top Class Magazine) Being in Mexico City at high altitude, how do you feel your performance will be tomorrow, the physical performance including the height and the possibility of rain tomorrow? LH: Well, rain is a great thing, even though that means they will still be very quick because they’ve got a little bit more downforce but that will maybe make it a little bit more exciting. Physically? It’s not a problem, it’s not a track where you have a lot of G-force, for example. There is just the braking zones but it’s not a particularly fast track. There’s not a lot of fast corners. That whole middle sector is so slow: turn one, two, three is super slow. Four, five, six and then seven, eight, nine is physically very very easy but it is a long race and staying focused, not making mistakes, is still key so it’s not easy but I don’t see anybody going to be struggling physically because we train to quite a high level. DR: I agree. I think it’s such a long straight, even if it was physical, you’ve got so long to recover each lap. For whatever reason, as Lewis says, it’s just a lot of slow corners which normally for us in F1, the high speed stuff is what fatigues you, when you’ve got high Gs and constant corner after corner. Even though a little part of that middle sector is fast, for whatever reason it doesn’t feel like we’re under much load, I guess, because there’s just a general low level of grip here with the altitude. But sleeping you feel it, going to bed, you feel breathing is bit heavier. I’m just making it up! You’re looking at me funny! I’m just trying to add something for your story. Q: (Scott Mitchell – Autosport) Lewis, you mentioned it’s a great day for you guys after the turnaround. How much changed on your car, how different was the car today and given you’ve avoided having to use the hypersofts for the start tomorrow, how much does that change your chances for the race? LH: Honestly, it’s night and day difference. Yesterday we really were struggling. FP1 was OK but then once we got to FP2 it was not fun to drive, that’s for sure, and there were several different problems on the whole car, mechanical side, aero side, mostly mechanical side and a little bit aero and a little bit on the engine side of things. 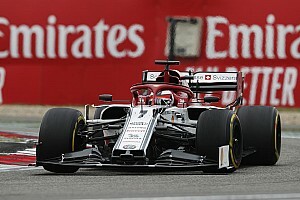 So big changes and improvements were made overnight and to come back in today and put us in contention all of a sudden – we didn’t think yesterday with that performance that we would be able to qualify on an ultra so that would have been a massive disadvantage for us tomorrow if we had to start on the hyper for example. As soon as we got into qualifying, I knew straight away the way the car’s feeling, I was like, OK we’re in a much stronger position to fight for position. I’m just glad that I was able to do the job, improve on my second run. Qualifying was pretty good for me. Q: (Alfredo Lopez Ledesma - MomentoGP) Lewis, my question is in 2015 and 2017 there have been problems in turn one. Will you be aggressive tomorrow to be in front of these guys or must you wait? LH: I’ve just kind of answered that question earlier so… It really depends what position I’m in. If I get a good tow from these guys and there’s an opportunity to overtake I’m going to take it. If there’s not, then I’m going to try and hold position. I’ve been racing a long long time so it’s very rare that I make rash decisions and silly decisions when it comes to those scenarios but I’ve not really given it any thought, to be honest, but I’m hoping to get a good start tomorrow and we’re racing together. I think Daniel did a great job. These guys are going to be quick tomorrow so gaining position would be hopeful but also I don’t mind those guys being where they are because that takes points away from both me and Sebastian so that’s OK.
Q: (Christian Menath - Motorsport-magazin.com) Daniel, did you experience any similar problems that Max had with rear locking during any part of the weekend? DR: I don’t think so. To be honest I don’t know the extent but I know, I think yesterday afternoon, Max commented in the briefing after the session but yeah, nothing, I don’t think, to what he felt. 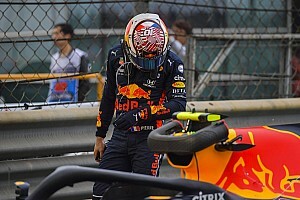 Q: (Louis Dekker – NOS) Daniel and Max, will you be giving Christian Horner a heart attack by fighting like you did in Baku? DR: No one wants to fight like Baku so hopefully no heart attacks tomorrow. Heart attacks of celebration and joy. MV: I don’t even think about Baku any more.